Leaders for Clean Air is a 501(c)(3) non-profit providing free EV charging stations to any Utah business or multi-family development. We are also able to help plan, design, and implement larger-scale charger projects. Everything you need to know about today’s air quality in Salt Lake County from the Dept. of Environmental Quality. Help do more than just talk about air quality. Check out UDOT’s TravelWise strategies for lifestyle changes you can make today. Find convenient plug-in stations along the Wasatch Front and learn more about installing and managing an electric charging station at work. We’re driving demand for cleaner air by paying it forward with electric. 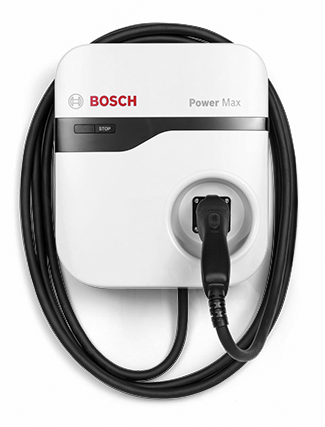 To join the program, a Utah business leader simply agrees to install a Bosch electric vehicle charging (EVC) station at their business for employee use. Leaders for Clean Air provides this first EVC. Employee adoption happens fast. You will soon help the next company install their first EVC. Help us achieve our 2017 goal! Inversions can’t be prevented, but pollution can. With a unified vision to improve Utah’s air quality, Leaders for Clean Air includes a group of Utah business leaders who are stepping up to provide the bottom line direction and incentive required to build value and demand for all-electric and hybrid electric vehicles in the local marketplace. For your free consultation on planning an electric vehicle charging project please fill out this form and we will contact you to schedule an appointment.